“On The Go” is a series dedicated to helping you stay low-carb/keto while out and about and on the go! This article focuses on keeping you keto at Zaxby’s. 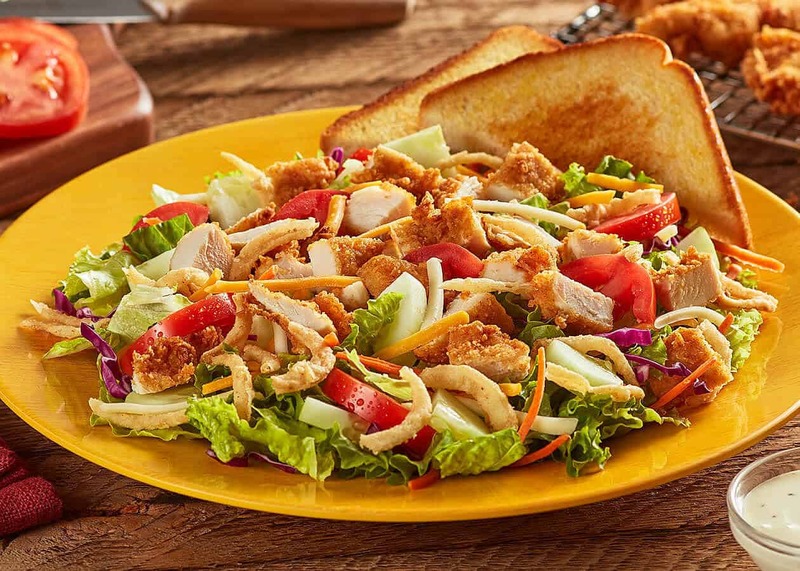 Zaxby’s is a chain of fast food restaurants offering chicken wings, chicken fingers, sandwiches, and salads. The chain operates primarily in the Southern United States and has more than 800 locations. Chances are if you live in the South, there is a Zaxby’s somewhere nearby. The restaurant chain is mainly known for serving lots of breaded items including breaded chicken tenders, boneless wings, and chicken patties on sandwiches. Let’s take a look at the top three items you can order (and how to order them) from there that will keep you on the straight and narrow when it comes to a low-carb or keto lifestyle while on the go. 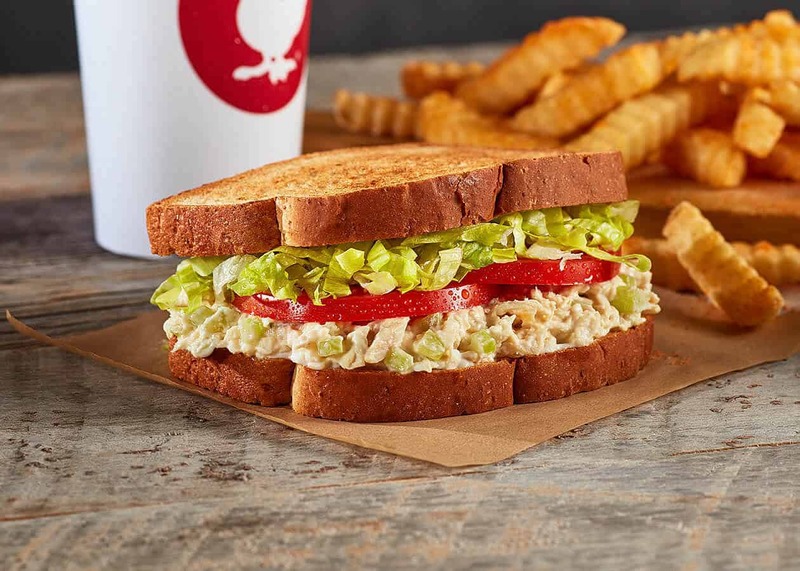 The Chicken Salad Sandwich is perhaps the best menu item Zaxby’s has to offer for the low-carb fanatic. Remove the bread and the chicken salad is full of fats and little to no sugars. The chicken salad is made with all-white-meat chicken and comes with lettuce and tomato. Normally, this is all served between two slices of honey wheat bread (except for us). The meal even comes with fries, but of course, we aren’t messing with those either. If the Chicken Salad Sandwich strikes your fancy to stay keto at Zaxby’s, then here’s how you need to order it. The Chicken Salad Sandwich, ordered as mentioned, is probably the best keto-friendly meal on the menu. Stir in the mayo to the chicken salad and you have a delicious meal that is low in carbs but high in fats. In our opinion, this is the best menu option for a fast and easy way to stay keto at Zaxby’s. 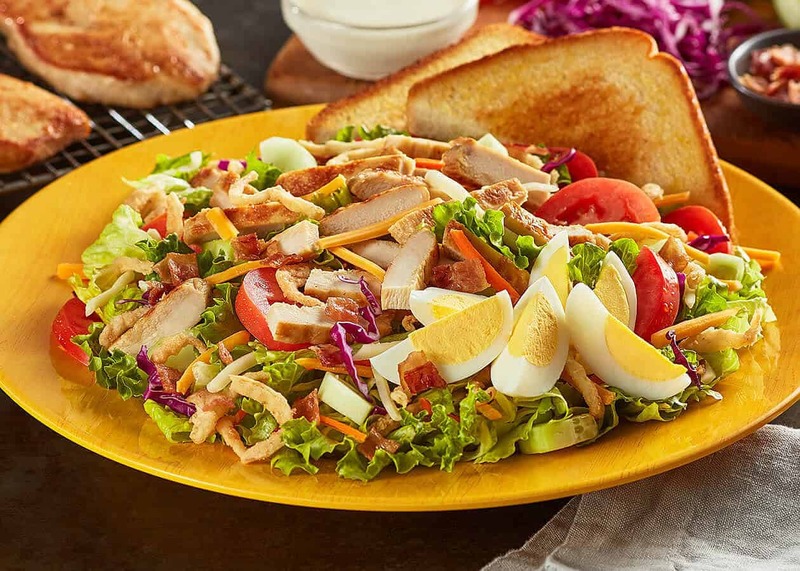 The Grilled House Zalad is about the simplest thing you can order from the Zaxby’s menu. It is a bed of leafy greens (or salad base as they refer to it), along with cucumbers, Roma tomatoes, cheddar cheese, fried onions, Texas toast, grilled or fried chicken, and your choice of dressing. Of course, some of those items you’d want to leave off including the toast and fried onions, and the chicken would be grilled. If the Grilled House Zalad strikes your fancy to stay keto at Zaxby’s, then here’s how you need to order it. The Grilled House Zalad is an easy way to get something on the go that has plenty of fats while not adding an overabundance of carbs to your daily count. It might not be 100% “by the books” low-carb, but is an option for a fast way to stay keto at Zaxby’s. The Grilled Cobb Salad is not much different than the Grilled House Salad mentioned above. However, it adds in two new (and tasty) ingredients the house salad lacks. Bacon and hard-boiled egg. It includes with all of the usual suspects that come in most of their salads, including Texas toast and fried onions. If the Grilled Cobb Zalad strikes your fancy to stay keto at Zaxby’s, then here’s how you need to order it. Though the Cobb Zalad has more fats than the House Zalad, the amount of protein rises. This is another great option and includes two low-carb/keto staples bacon and egg. Again, this salad might not be 100% “by the books” low-carb. But in comparison to most of the other menu items, it is a very decent option for a fast way to stay keto at Zaxby’s. These are what we would consider being the top three best choices while eating on the go at Zaxby’s. So many items on their menu are already breaded or have added sugars, making them unfit to eat on the keto lifestyle. Please keep in mind, there are other menu combinations that will achieve this goal as well. Have an ordering/food combination you think works well for keto at Zaxby’s? Let us know in the comments! I would discount the bacon because it’s not uncurled it contains nitrates none of the dressing either and the chicken is grilled in bad oil that is among wheat substances this is the best thing to order plain salad I bring my dressing and my own meat that’s what we do Wheatbelly.com that’s why I stay healthy. You can buy the chicken salad in a cup, as well.